Xylitol is a natural sweetener that looks and tastes like sugar, but with fewer calories. In fact it has 40% less calories than sugar. It is found in small amounts in many fruits and vegetables. Xylitol is classified as a sugar alcohol, but don’t be concerned by the sugar alcohol part… this has absolutely nothing to do with the alcohol we consume. Xylitol for use as a sweetener is commercially extracted from the cellulose of wood, mainly the maize (corn) cob, bark of the birch tree or from sugar cane pulp. Maize (corn) is a more eco-friendly source to use as the crops are replenished every year, whereas the birch tree takes about 15 years to grow before it is harvested for use. The process used to make Xylitol from the maize (corn) cob is also eco-friendly as all by-products are used and all waste products are recycled back to the soil. 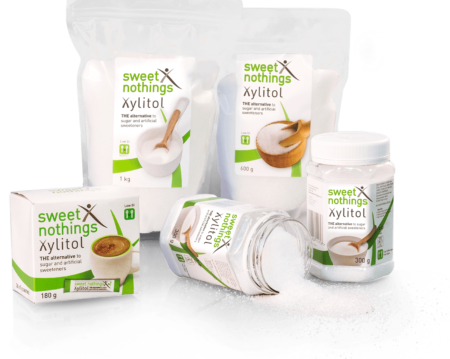 Sweet Nothings Xylitol contains only pure Xylitol with NO additives. 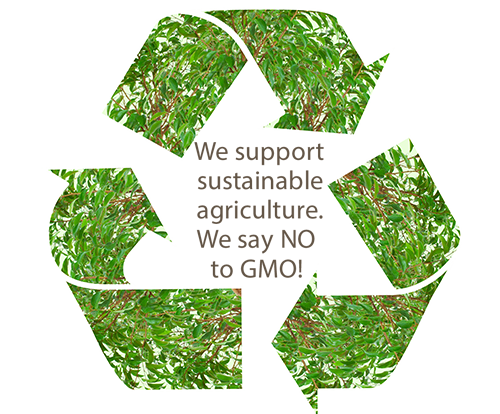 Our Xylitol is extracted from non GMO maize (corn) cobs. Maize (corn) is replanted yearly and all waste products are recycled back to the soil. This makes our Xylitol environmentally friendly, as well as good for you. "Sugar's definitely the next evil." Xylitol looks and tastes like sugar, but has fewer calories and doesn’t raise blood sugar levels. Xylitol is found in small amounts in many fruits and vegetables and is therefore considered natural. Humans even produce small amounts of it via normal metabolism. For people with diabetes, pre-diabetes, obesity or other metabolic problems, Xylitol is an excellent alternative to sugar. Xylitol contains zero fructose, has a very low glycemic Index and doesn’t spike Blood Sugar or Insulin. The glycemic index (a measure of how quickly foods raise blood sugar) is only 7, compared to regular sugar, which has a glycemic index of 60-70. Several studies suggest that it can improve dental health. Oral bacteria feed on glucose from food, but they cannot use Xylitol. Replacing sugar with Xylitol, has two benefits – it reduces the available fuel for the harmful bacteria and it changes the PH.